With Your Help, Boat Covers Direct® Is Going to Make Luke’s Wish Come True! There’s no doubt about it: everybody loves a great deal, especially during the holidays. What could be better than a great deal? How about knowing that in addition to getting your great deal, you’re also helping to ensure that a child’s dream will come true? Yeah, that would be pretty awesome. 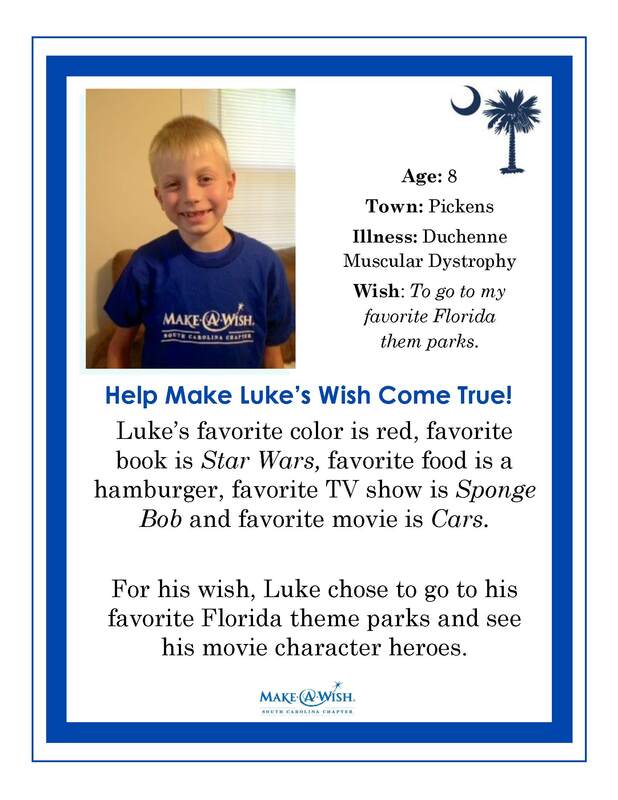 Luke wants to go the most magical place in the world to meet his favorite movie characters. While he’s there, we also want to make sure Luke gets to enjoy some hamburgers. How? From November 18 through Dec 31st, we’re donating 2% of ALL sales to Make-A-Wish South Carolina so we can make sure Luke’s dream comes true. And, thanks to our partners at Carver Industries, we’re also offering a holiday sale of 10% off all Carver boat covers & bimini tops. We’re also throwing in FREE shipping to anyone living in the contiguous US. Now THAT is a great deal! If you or someone you know needs a high-quality, American-made boat cover, bimini top or other boating accessories, please have a look at what we have to offer and pass this message along. Thank you and Happy Holidays from our family to yours! Next: Boat Covers Direct® Black Friday and Cyber Monday Deals!